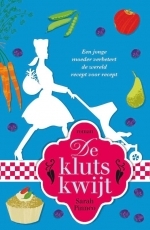 The Dutch version of my book seems to have not one but two cover art designs. One is a photo, and one an illustration. Seeing foreign covers gives me only joy and none of the original cover art tension. So this seems like a great time to think through the pros and cons of photography vs. illustration. Authors get very worked up about their book covers, and I'm no different. Not only is your book's "face" an important first impression, cover selection is one of those uncomfortable moments in the birth of your book over which you may not have much control. One of the first big decisions your publisher will make is whether or not to hire an illustrator, or to use stock photography. (Hiring a photographer for a custom photo shoot is a third option.) There are pros and cons to each. Pro: There is a vast supply of high quality stock photography in the world. Just because you can't find the image of your dreams at Getty Images or Shutterstock doesn't mean that your publisher won't. They use it all the time, and they know where to look. Pro: A good designer will be able to use an image in a way which evokes the mood of your book. He or she may crop the photo in a surprising way, or change elements of its background and color scheme. Technology is a marvel, and a crisp photograph can almost act as a fresh palate for a talented artist. Con: There have been cover disasters wherein the chosen photo is mismatched with your main character's physical attributes in an entirely unhelpful way. (The most egregious examples I've heard were of photographs of white women for characters which were supposed to have dark skin.) If you're shown a cover with a character that looks utterly wrong, don't respond immediately. First, take many deep breaths. Then, calmly articulate your discomfort, making sure your publisher understands that more than your own expectations are on the line. A carefully chosen photo will speak to your book's audience, not just your personal preferences. Con: Sometimes a gorgeous example of stock photography will appeal to several designers, and versions of your gorgeous cover will crop up elsewhere. I have two friends whose trade paperback novels had the same photos on their covers. To the author, this feels like a complete disaster, but often it isn't. The two books I referenced here were published six months apart, and one of the books only featured a half crop of the picture. The photo was the same, but the effect was utterly different. Having an artist draw an image for your book from scratch sounds as glorious as made-to-order tailoring, and it can be. But there are drawbacks here too. Illustrators get paid whether the publisher uses their work or not. That means that your publisher will be more invested in an illustration it commissioned than a piece of stock photography. If you hate the resulting illustration, your publisher will be more reluctant to scrap it and start over. I think both of these designs are charming. Also, I don't exactly have my finger on the pulse of Dutch cover design, so I wouldn't attempt to inflict my opinion on the experienced editors at Unieboek. But let's pretend this was an American release. Which cover would you choose?